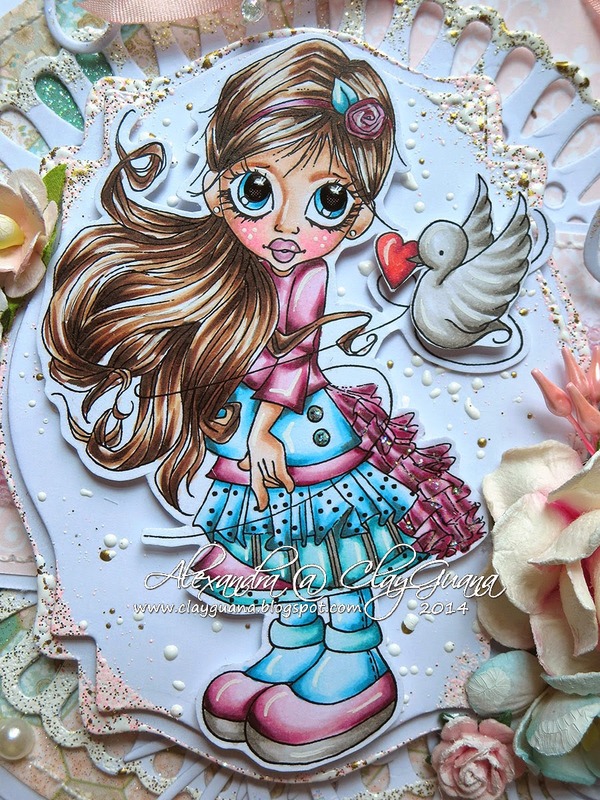 Shabby chick and me are absolutely not the best friends ;) but what can you do when the challenge is calling, right?!! 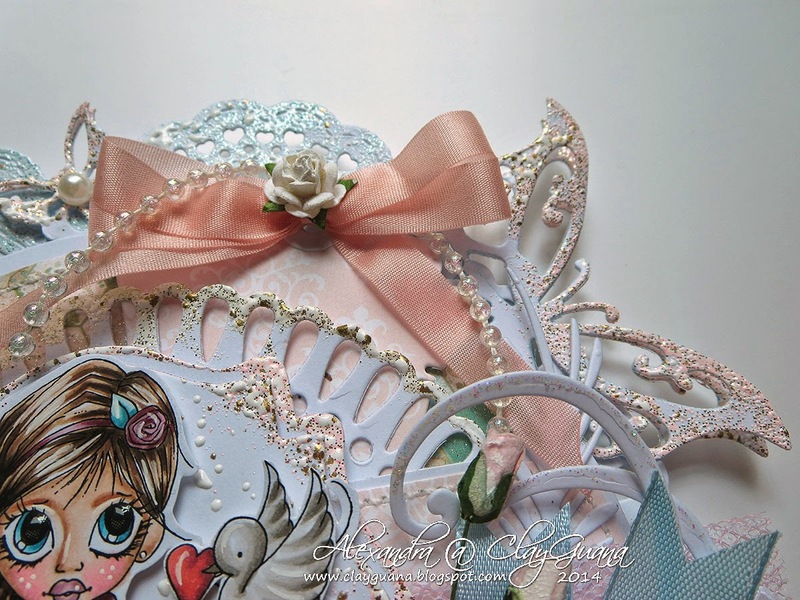 The following card is my DT take of the current challenge theme at the Inky Chicks Blog. I used a digital stamp from Saturated Canary - Canary Love. She's one of my favorite!! 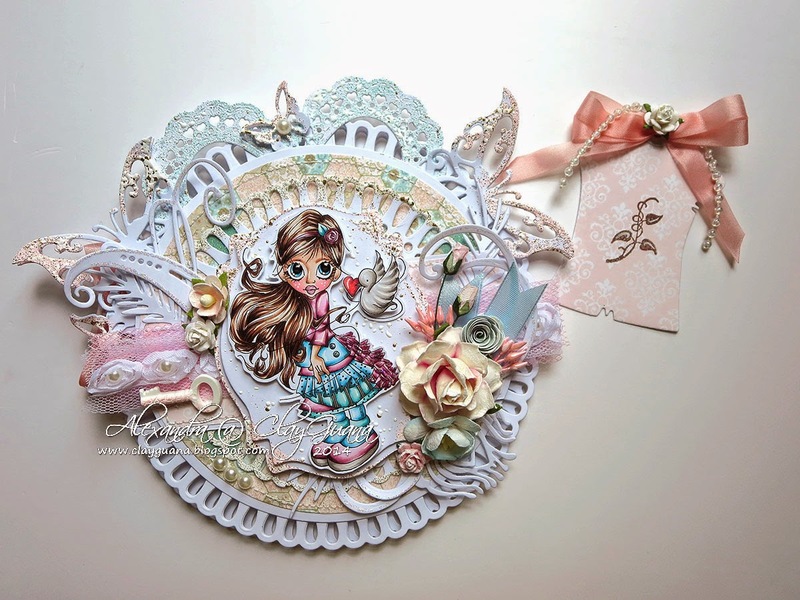 Pretty card, love all those layers and your attention to detail. Thanks for joining us at Sweet Stamps. how do you put the Pinterest on your card ? It is okay to step out of your comfort zone. Your card looks fabulous in shabby chic. Gorgeous shape card with this beautiful SC image. 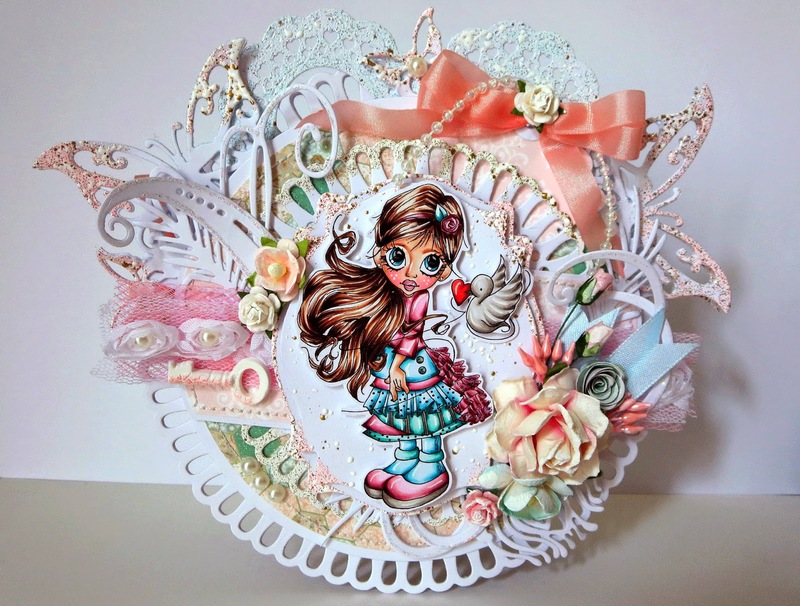 Awesome card-love all the gorgeous layers! Your copic coloring is amazing-love the hair! Thanks for playing along with us at Doodle Pantry~come back soon! 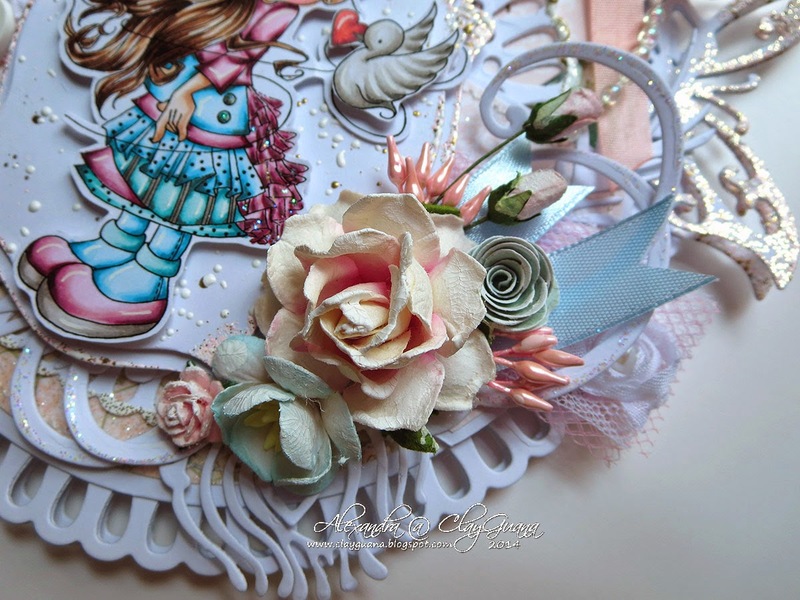 Gorgeous gorgeous card thanks so much for joining us at Sweetstamps!! La-La Land Crafts New Release!! !